As it is said the journey of thousand miles begins with a single step. My experience from the past 4 years of biking, traveling, trekking and camping has been amazing for me. Those breathtaking views, adventurous nights, sleeping under the stars, trekking alongside waterfalls, walking on the clouds and listening to birds chirping has changed the way of living. These moments cannot be lived again and again. But the memories are cherished. The destination is decided but the journey to reach it, is thrilling. I usually prefer to go on bike because it gives me that adrenalin rush. I like the feel of wind blowing against my body. I am penning down one of such experiences that came to me instantly. It was a two day trip in which we wanted to cover approximately 600 kms with a pillion. The major destination was Kolli hills which is 260 kms from Bangalore. The journey and the destination is spellbinding, from every age group and whether you are a lover of wildlife or a lover of photography or a religious person, it’s a complete package for all. We wanted to cover Yercaud too, which is famous for its mesmerizing view points. It was the month of October and winter just started. As usual we all friends with 4 bikes and 1 car gathered at one place, silk board Bangalore. It is one of the busiest area in the peak hours. Since we started very early 4.30AM, before the traffic lights started functioning, the road was clear. After the morning cup of tea, we started our bikes. More than the destination, the journey towards it is important. I was happy that I had just replaced the tyres of my bike with CEAT tyres. My friend had recently suggested for them and I decided that it was worth giving it a shot. The plan was to reach Kollimalai a.k.a Kolli Hills before 1PM. The mesmerizing beauty of hills which was covered with lush green vegetation and hairpin bends added more value to the beauty. Kolli hills have 70 sharp hair pin curves which teaches patience and tolerance! I was satisfied that my Ceat tyres went beautifully with them. They had a strong grip on the road and not once I lost my balance. There is a lot of use of brakes while riding Ghat roads and a good tyres will make balancing easier. The beauty of Kolli hills that it is less visited by tourists although I am not sure of the reason. 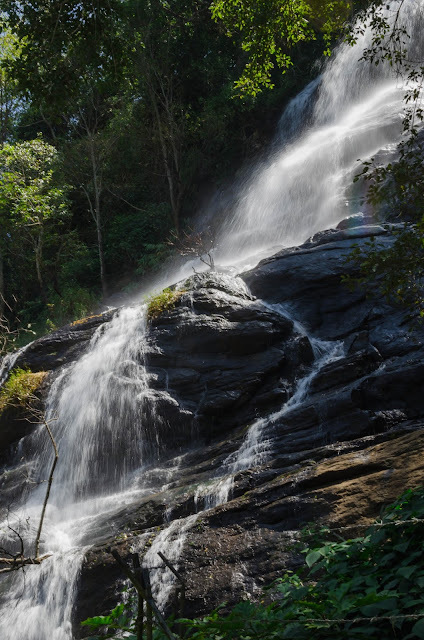 It has a very dense forest and a myriad flora and fauna with many waterfalls in and around. It is said to have many medicinal herbs also .it has been featured in the literature of Tamil and has religious importance as well. 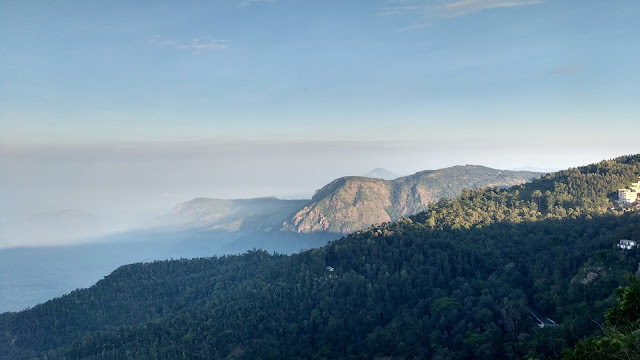 The places to see are Akaashaganga Waterfalls, Masila Falls, Arapaleeswarar Temple, Botanical Gardens, and Sikku Parai View point.After staying overnight at Kolli hills, we went to our next destination Yercaud. It is a hill station in Salem District, in Tamil Nadu, India. It is situated in the Shevaroys range of hills in the Eastern Ghats; and is known as the “Jewel of South”. 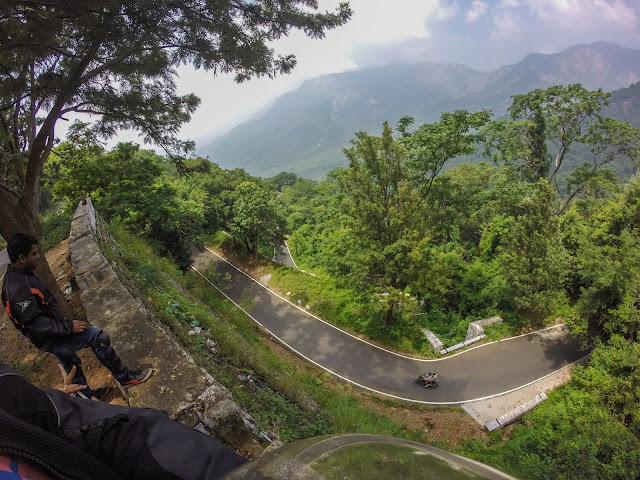 Kolli hills and Yeracaud should be in the bucket list of every biker in south India.The region did have pleasant and soothing landscapes with many waterfalls cascading along the roads. The hair pin bends seemed dangerous but the CEAT tyres made them look easy.After finishing our journey and back to Bangalore, I could help but smile at the memories I had just created. "Nothing compares to the simple pleasure of bike ride"
‘I’m chronicling my road trip adventure for CEAT Tyres in association with BlogAdda.